Part of our own brand of cleaning products, this Machine Glasswash is ideal for use in kitchens and commercial premises that use automatic dishwashing machines. This product has been specially formulated to be used to clean beer, wine and spirit glasses; as well as ensuring that they maintain in top condition. Machine Glasswash is available to buy online and can be bought as a bulk buy option. Blue coloured liquid with a mild alcohol odour. For use in rinsing crockery and cutlery in automatic dishwash machines, after the wash cycle. 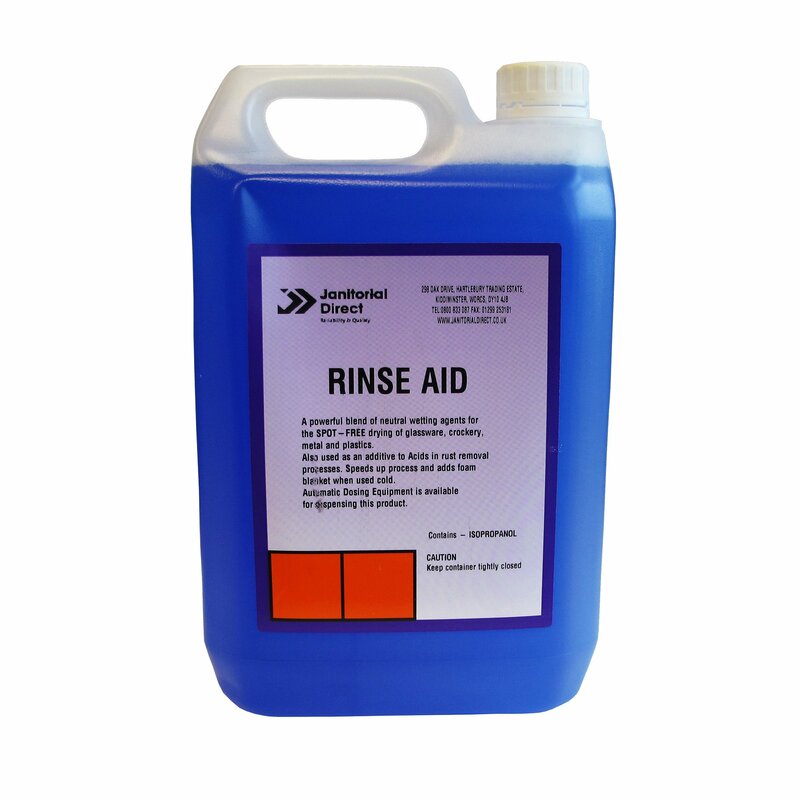 Rinse aid greatly aids rinsing operation. The product leaves dishes sparkling clean and helps sheds water to speed the drying process.